What is Bulb Temperature? | LED Specialists Ltd. The lower the temperature, the redder the colour. The higher the temperature, the bluer the colour. 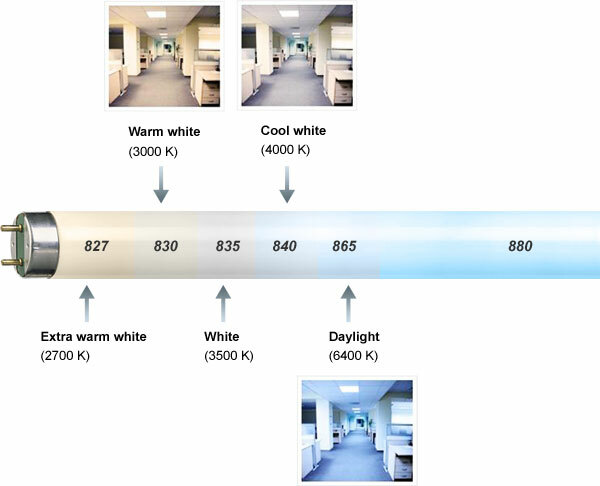 In LED lighting, the colour temperatures vary roughly from 2700K, (very warm white) to 8000K which is sky white, almost stark blue-white light.